SF’s 49 Mile Scenic Drive was created for the 1939 Golden Gate Expo—and it’s been a big hit ever since. 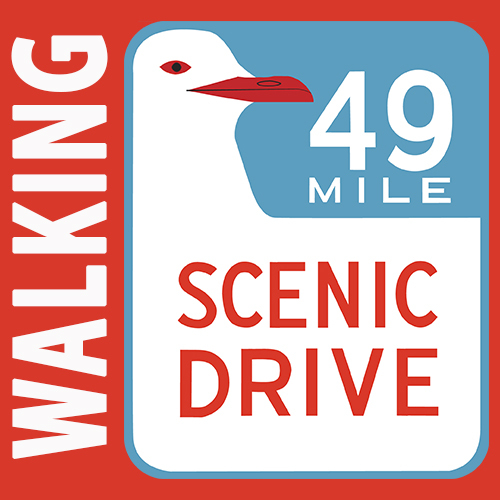 The iconic blue and orange seagull route markers direct visitors and locals on a big loop trail around the best of SF. Kristine Poggioli: native, copywriter, U. C. Berkeley History Major. 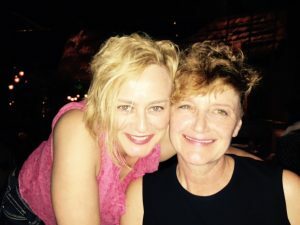 Carolyn Eidson: filmmaker, comedian, SF Scooter Girl, passionate Weight Watcher Leader. 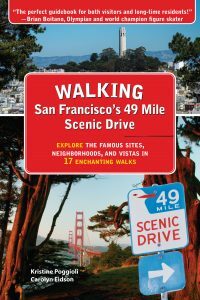 Kristine and Carolyn are the first people known to have walked the entire SF 49 Mile Scenic Drive – not in one day (sheesh!) – over one year. They did it by breaking the route into 17 three mile walks. They had so much fun and saw so many new things they turned the adventure into a guide book. Walking San Francisco’s 49 Mile Drive is full of helpful maps, points of interest, and tons of SF history. They will share their adventure and the most-likely-true history they discovered on their journey.